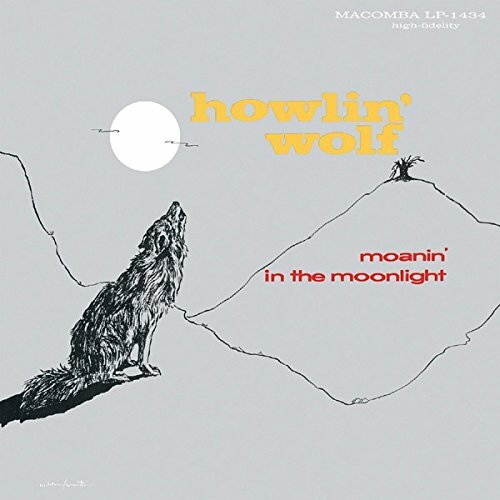 Moanin' in the Moonlight was Howlin' Wolf's first collection of sides for the Chess label, packed with great tunes and untouchable performances by the man himself. The last word in electric Chicago blues, Wolf was possessed of fine guitar and harp skills, a voice that could separate skin from bone, and a sheer magnetism and charisma that knew (and has known) no equal. This disc is outstanding throughout, and features some of his best sides, including "How Many More Years," "Smokestack Lightnin'," "Evil," and "I Asked for Water (She Gave Me Gasoline)." Highly recommended for the uninitiated and a must for collectors.